Amir is an Entrepreneurial Ecosystem Builder. 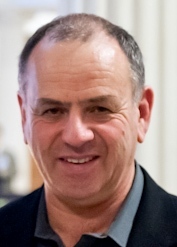 Throughout the first part of his career, Amir led Global Go-to-Market for Israeli startups that aspired for global leadership, while bridging the multi-national cultural gap: During the late 1980’s, leading NASDAQ-traded Fibronics’ Sales & Marketing activities in France and neighboring countries, Amir helped the company become a market leader in high-speed communication networks in Europe. During the 1990’s, as VP Sales & Marketing of NiceCom (a leader in ATM switching; acquired 1994 by 3Com) Amir led a worldwide team of 30 professionals that successfully penetrated global markets, grew sales from 0 to $200M in 3 years and achieved global market leadership. During the 2000’s Amir co-founded Aternity (acquired 2016 by Riverbed), a Boston / Tel Aviv-based provider of application performance management software and served as its President and Member of the Board. Starting in 2010, Amir has taken an active role in multiple Boston-based community initiatives, with a global touch: Connector and co-chair of strategy sessions at the Boston World Partnership (BWP) organization; co-founder of the Global CleanTech Meetup; CleanTech leader and then Chairman of the Board at New England Israel Business Council. All these led to a high-impact role at MassChallenge: Director of Global Partnerships with significant achievements: co-founding MassChallenge Israel early on and bringing it to Jerusalem more recently; playing a key role in establishing the new MassChallenge Switzerland hub in Geneva, and leading a high impact partnership between MassChallenge Boston and the entrepreneurial ecosystem in Lyon, France. Based in Cambridge, MA - Amir leverages his strengths in the entrepreneurial communities in Israel, Boston, France, Switzerland and Melbourne (Australia) to help his clients achieve their growth objectives through internationally-connected entrepreneurial ecosystems.